UPDATED NEW QUOTE BY ULDIS SPROGIS 1355!!! This entry was posted in common sense and tagged big government, common sense, humans, moral, quotes, rule, rule themselves, truth, wisdom, wise sayings on January 30, 2019 by uldissprogis. UPDATED NEW QUOTE BY ULDIS SPROGIS 1231!!! This entry was posted in common sense and tagged big government, big money, common sense, Democrats, knowledge, quotes, Republicans, special interests, truth, wisdom, wise sayings, words on September 19, 2018 by uldissprogis. UPDATED NEW QUOTE BY ULDIS SPROGIS 963!!! This entry was posted in common sense and tagged big agriculture, big business, big government, big medicine, common sense, human nature, quotes, relationships, truth, wisdom, wise sayings on November 24, 2016 by uldissprogis. It may seem that shrinking the government will cause many to lose their jobs such as teachers, bureaucrats, and infrastructure workers. In the short run this is true but in the long duration it is good for the economy because government will be forced to become more efficient and not waste as much tax payer’s money. Teachers teaching job useless subjects to most students such as music, theater, sports, foreign languages, history, composition, etc. which they will not use in real life will be eliminated and computer assisted individualized instruction will eventually replace most inefficient bureaucratic teaching methods which try to teach 20 or more students subject matter at the same pace inefficiently instead of at each student’s individual pace. Less money means fewer unnecessary teachers and subjects and more efficient cost effective computerization. The only place where classroom teaching to many students is vital is in elementary school where impressionable young minds should be taught proper behavioral etiquette and a strong secular moral code. Don’t destroy biodiversity, don’t lie, don’t be inefficient, don’t steal, don’t commit adultery if married, and don’t murder. By the age of 13 all secular students should have learned how to behave socially and have a strong moral code to impulsively lead their lives with so they can go on and work part time for about 4 hours a day at safe jobs in the community to learn work skills and not just goof off in school and not learning any useful job skills in middle and high school. Children desperately need to learn a work ethic and find out how hard and boring a life is without proper useful education in the adult world to motivate them to learn useful technological skills in school. My evergreen book EDUCATION REFORM shows in detail the necessary educational changes needed to prepare offspring to work successfully in the technological 21st century upon graduation. Less money for the bureaucracy means more economical computerization and it will hopefully force government to streamline special interest laws and tax rules which add costly expense to the operation of any business. Less money means more efficient infrastructure work on bridges and roads and beautification where there is a notorious waste of money hiring year round workers for projects which require short duration fast and efficient working schedules and procedures. I have personally seen many work crews of 5 or 6 humans where only one or two were actually working or doing something constructive. Infrastructure work is a gravy train for local union workers and overpaid workers and their local monopoly companies inefficiently raking in taxpayer’s money. The solution is efficient mobile national work crews which travel nationwide and do local infrastructure work for the government only when needed. Fewer government workers means that they will have to retrain for work in the private sector or have the option of existing on welfare for the rest of their lives and costing taxpayer’s less money in the long duration. It may seem that corporations are hoarding money, buying other companies, and not reinvesting in jobs in the private sector despite the fact that with tax loopholes they are paying as much tax as in other advanced countries of the world. The fact is that it is a global economy and corporations will invest money overseas where there is more profit in manufacturing. If corporate taxes were reduced in the United States then not only would national companies want to invest their money here but foreign international corporations would want to invest in the United States and make greater profits on manufacturing for themselves. The net effect would be more jobs for Americans and not less. However, with robotization, the internet, monopolies, and standardization of parts there will still be many Americans destitute and on welfare into the foreseeable future and changes in welfare laws and changes in voting rights for the destitute welfare unemployed will have to be made to accommodate the armies of unemployed which the government will have to support. Progressive taxation is unjust and forces the rich to seek offshore tax shelters and special interest legislation which gives them more money to keep so the net effect is that the rich actually can pay less taxes than the middle class wage earner. It is way overdue that everyone including the poor workers should be paying the same fixed percentage of their gross income which is about 5%. 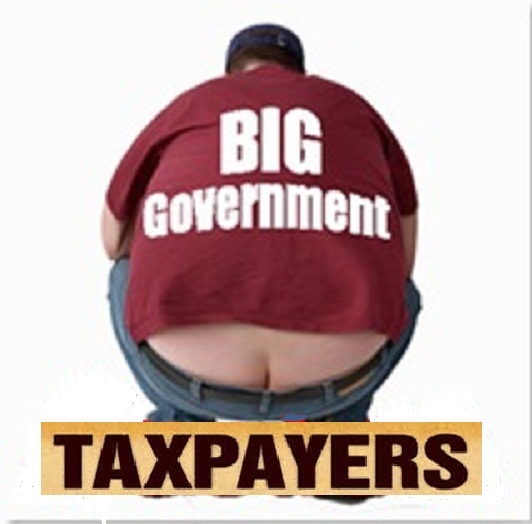 To support the growing numbers of humans on welfare a national sales tax of about 10% should be imposed to disincentivize consumption and pay for the growing numbers destitute and on welfare. The national sales tax can be adjusted higher on a periodic basis to take care of the growing numbers on welfare in the near future. Some of the national sales tax can go to reeducating young unemployed and destitute adults and the destitute and unemployed on welfare for useful private sector real jobs in the rapidly changing economy. A dysfunctional status quo economy is no longer acceptable!!!!!! CONCLUSION: In the long duration we need a smaller more efficient government, less corporate taxation to bring more jobs to the United States, and a just fixed percentage of taxation of about 5% for every working citizen rich or poor so that everyone working will be concerned about high taxation. A fixed percentage of income taxation is just because the rich will still be paying more money in taxes than the lowest paid worker. Make the government and corporations more efficient and the working taxpayers will benefit by an improved efficient economy with much less of their tax money being wasted by big government and corporate inefficiency. A more efficient nation and world means less money and energy wasted, less pollution, and a greater probability that biodiversity can survive worldwide and maybe even prosper. If you like this evergreen blog read more of them and read one or more of my evergreen books, especially COMMON SENSE. This entry was posted in business, common sense, education, globalism, justice, science, society and tagged big government, business, common sense, corporations, education, globalism, justice, moral code, science, society, taxes, unemployment on September 2, 2013 by uldissprogis.